Televideo - The beginning of a journey. The end of my social life. 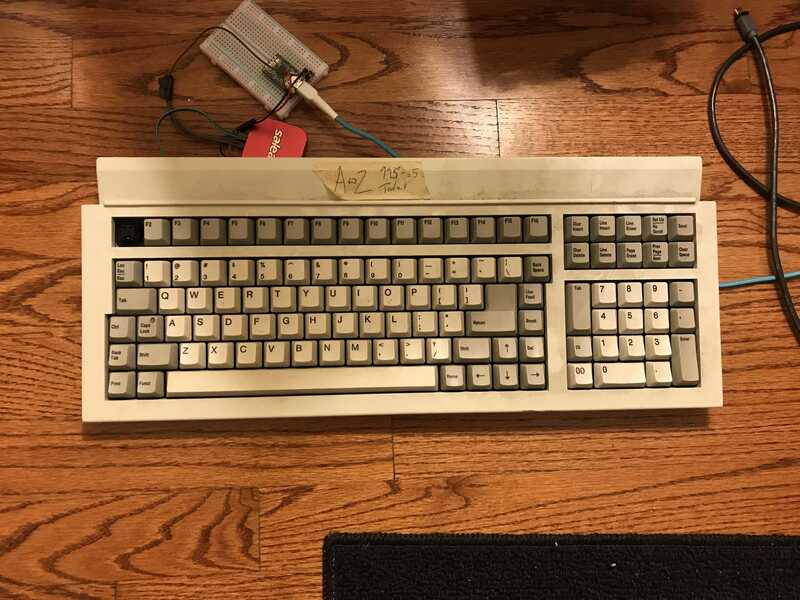 Unfortunately I'm short two of these style left shift keys that some of the boards take (the ones that do not have a backtab key). The switch mounts on the left side and it has a little guide rod on the right side that pokes down into a faux switch. 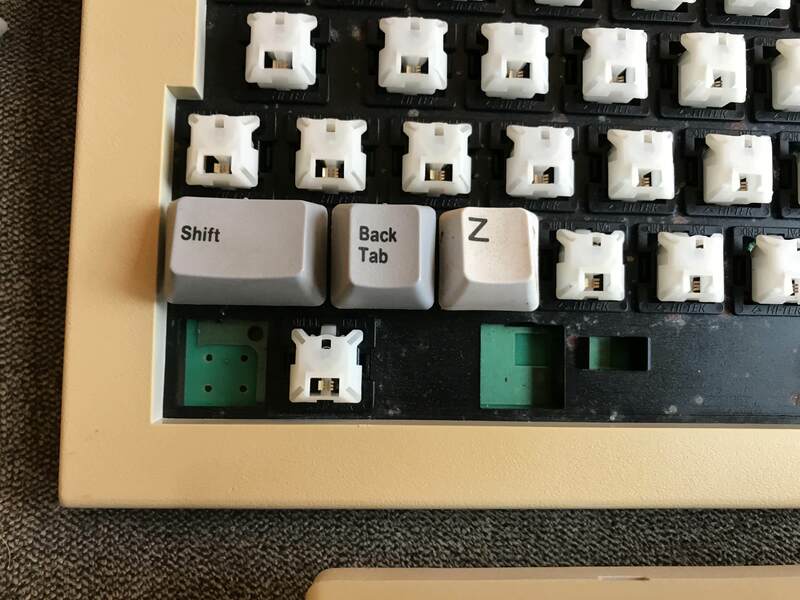 I reached out to a couple of SI enthusiasts to see if they have any spare keycaps but I'm pretty doubtful. I was thinking maybe I could use a normal left shift cap (which I do have) and trim off the plastic mounting bits on the interior. I'd mount it on two switches; a functional one on the left and one on the right with no spring to act as a stabilizer. 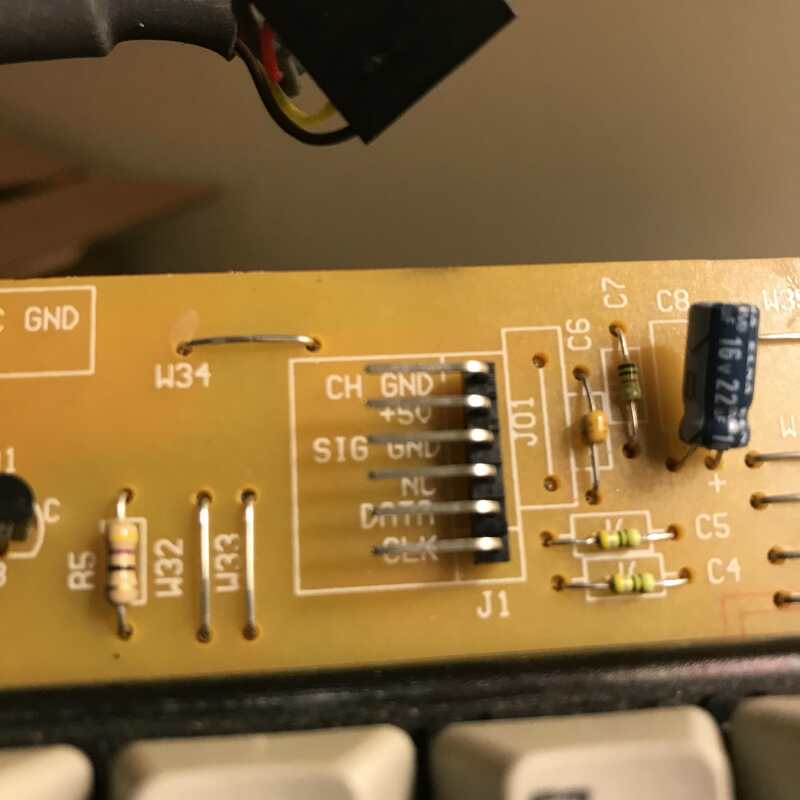 It would be impossible for me to recreate the SI mounting clips so I'd have to glue the cap directly to the switch sliders. Is this a terrible idea? 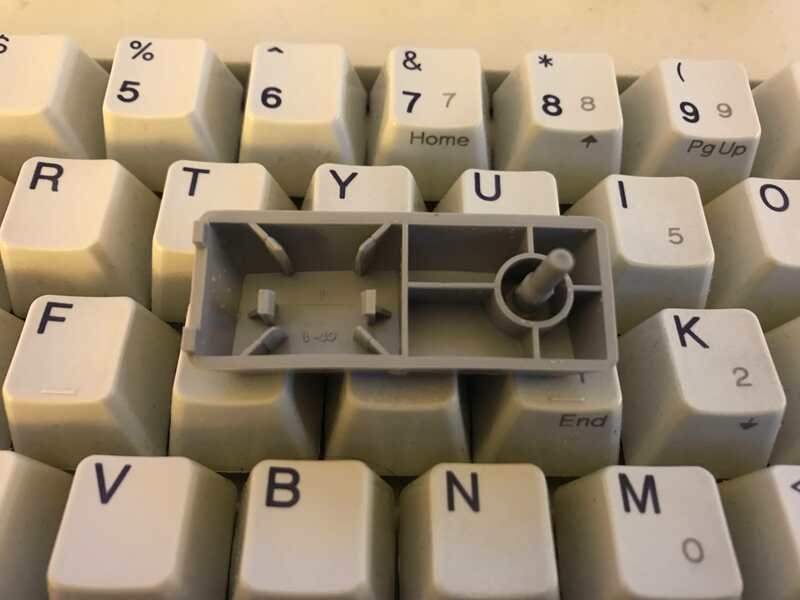 I just doubt I'll come across any extra caps like this. Alternatively, I could add in an extra key on the left and make the right side a tiny shift key. 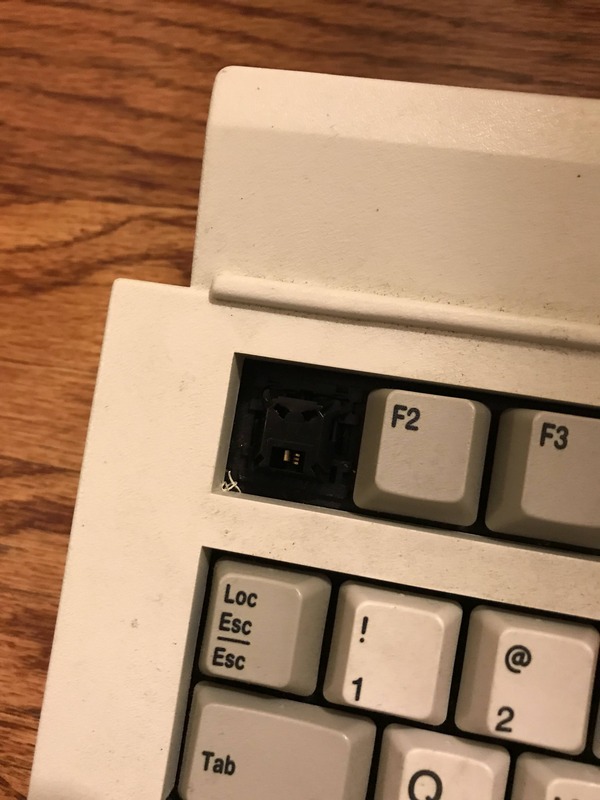 The problem with going that route is that I'd have to trim down the shift key since it would rub with the Z key otherwise. 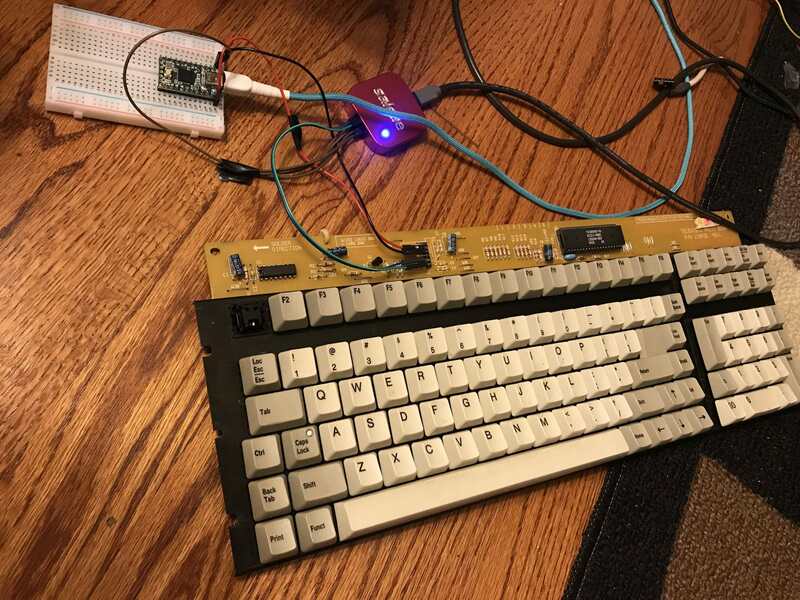 Edit: In regards to the last option, the faux switch is (uniquely) connected to the matrix so both keys would be functional. Edit 2: Errrr, duh. Just realized I could swap shift and backtab and have a configuration like this. No cutting or gluing needed but not sure if it would work out ergonomically. 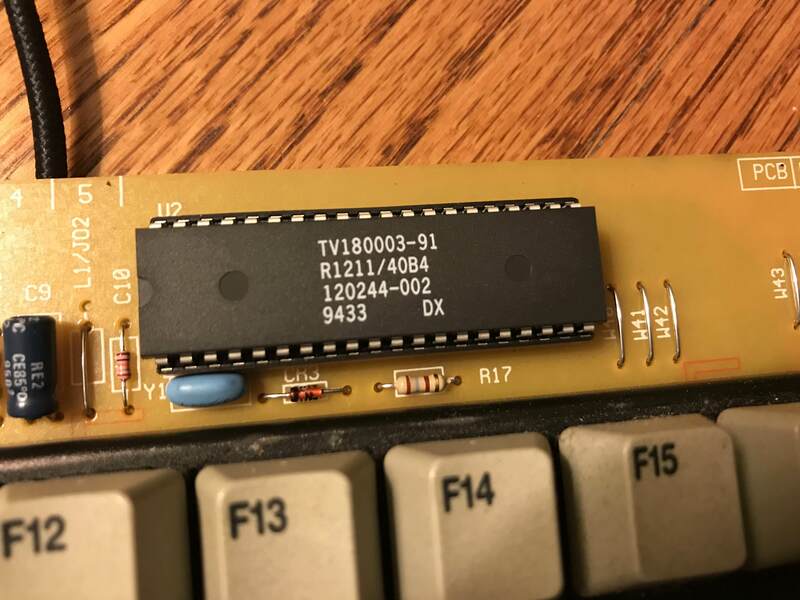 Does the "BackTab" have scan codes or actually work for that key since there was a dummy/stabilizer there before? 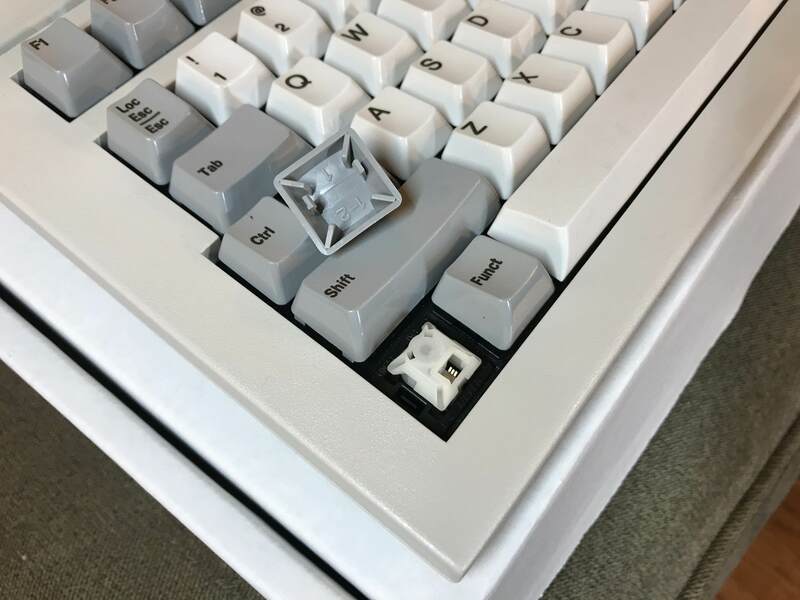 Audiences around the country can't stop talking about the riveting fall blockbuster, "Man Removes Keycaps from Eight Keyboards". Now, Snacky Cat Films™ is proud to present the sequel you've been waiting for, "Man Puts Keycaps back onto Eight Keyboards". snacksthecat wrote: ↑ Does the "BackTab" have scan codes or actually work for that key since there was a dummy/stabilizer there before? Yes, the dummy switch is wired into the matrix. 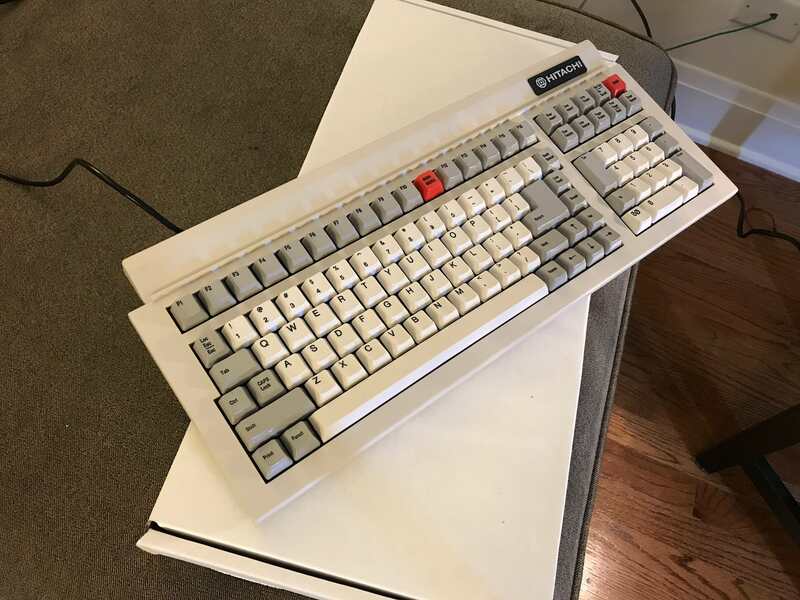 It seems they used the same design for a couple different iterations of this keyboard. 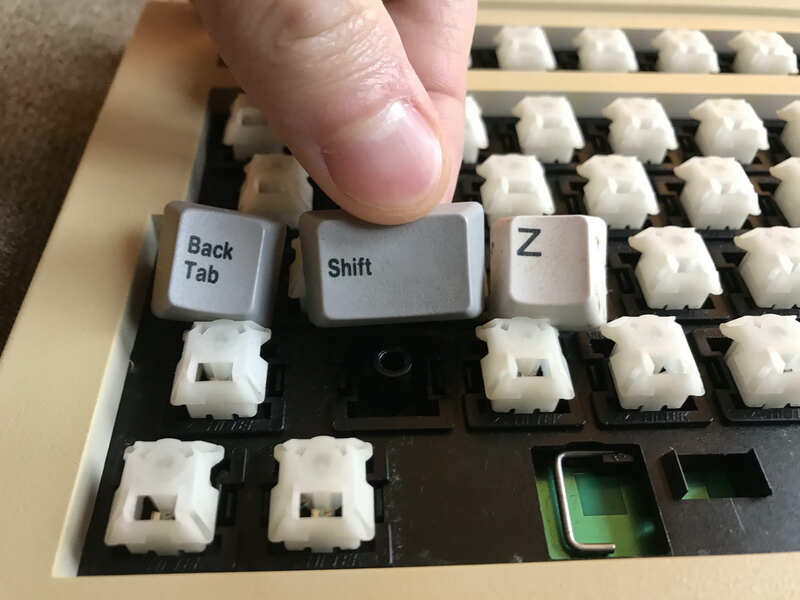 What I don't remember off-hand is whether the two shift keys are wired to separate pins or whether they share the same ones. That'd put a dampener on my little hack. Scan and 3D print one? It would have to be blank, though. It's sounding like this one has found a new home. Definitely the pick of the litter! I never thought I would be able to have exactly that one. 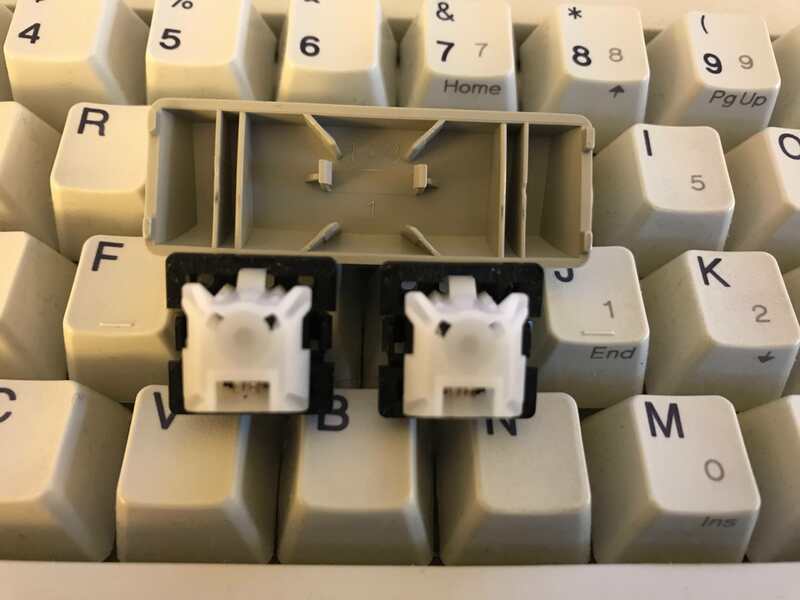 I bought one of the Pawn keyboards, and they are amazing! The caps are fantastic and the switches are wonderful linears. Mine is not amazingly Hitachi branded but I still love it and want another one. I highly recommend these keyboards. Out of all these different boards, the one that is most interesting to me so far is The Unknown. 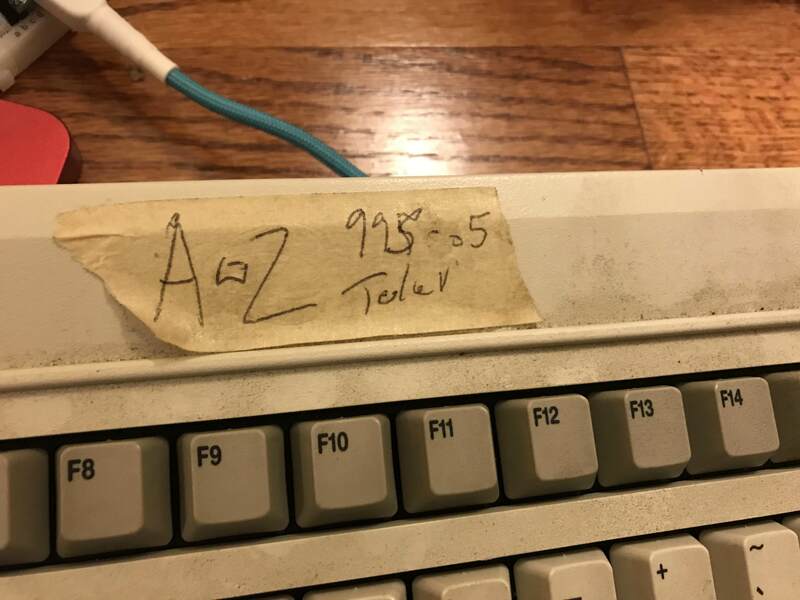 Presumably, this keyboard was from a Televideo 995-65. Not sure if the "A-Z" means anything. The first thing that was interesting to me is that this one has non-clicky black space invaders. According to the wiki these are supposed to be tactile. If that's the case, I've got some thoughts for Hi-Tek on the topic of tactility. But what is more interesting to me is that this keyboard has a clock line. This is interesting because all of the other Televideo boards I've come across have communicated over serial. Not sure if this is meaningful to anyone. The cord is cut on this one but when I've seen these, they all had PS/2 style cables. I hooked this one up to the logic analyzer to see what the protocol looks like. And indeed it does have a clock signal. The protocol doesn't appear to be AT or XT, but I have not dug into it yet. Here is a press and release of key 'A'. So what do you guys think? Is it worth it to play around with the protocol a little bit or just do controller replacements on these as well? I might tinker with it a bit just for fun and to learn. Awsome work, don't stop if You have time! 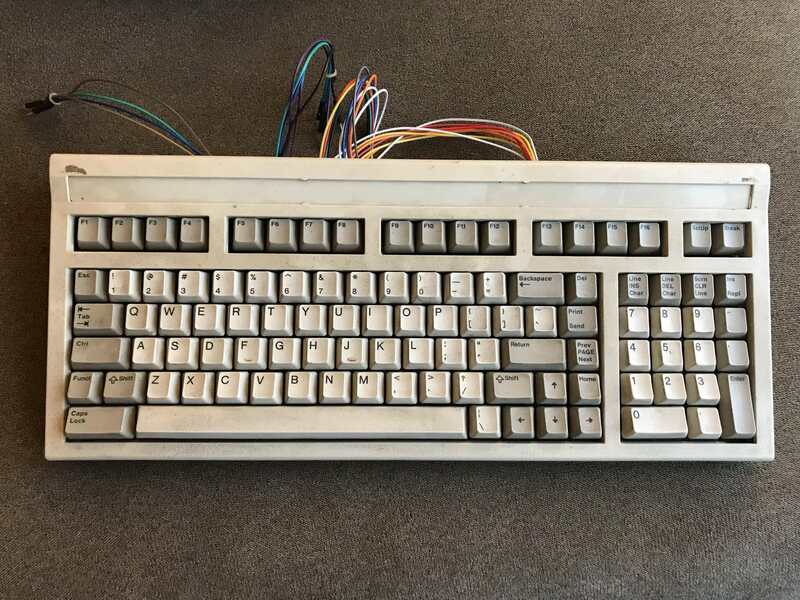 That's pretty cool and somewhat jives with their documentation which says they had three styles of keyboards for some of these machines: (1) ascii (2) AT (3) DEC style. Unfortunately, the docs available online fall short of describing the protocol(s) that these keyboards used. 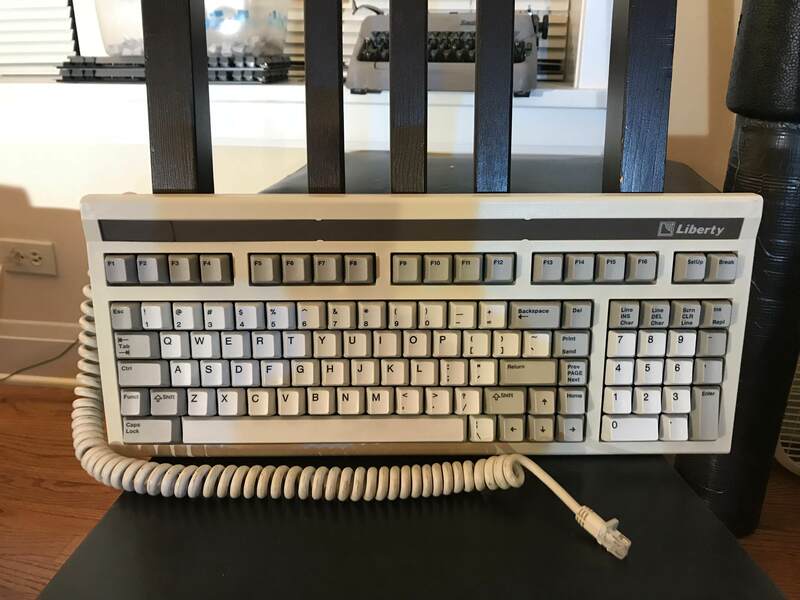 If this *is* what they mean by an "AT style" keyboard, it's very strange to me that it wouldn't send break codes since it wouldn't really be compatible with any AT-ready machine. snacksthecat wrote: ↑ So what do you guys think? Is it worth it to play around with the protocol a little bit or just do controller replacements on these as well? I might tinker with it a bit just for fun and to learn. The fact that you have different codes for press and release of a single key is hopeful. Check the modifier such as ctrl, shift and esc and if they send two different codes things are really looking up. Last edited by Engicoder on 09 Nov 2018, 22:42, edited 1 time in total. My board came today! One of the two eyed pawns. First try with space invaders, they're great! This spacebar is a monster, the feel and sound of these switches is very satisfying. Like typing with dominoes if that makes sense.. Like a smooth, solid thock. 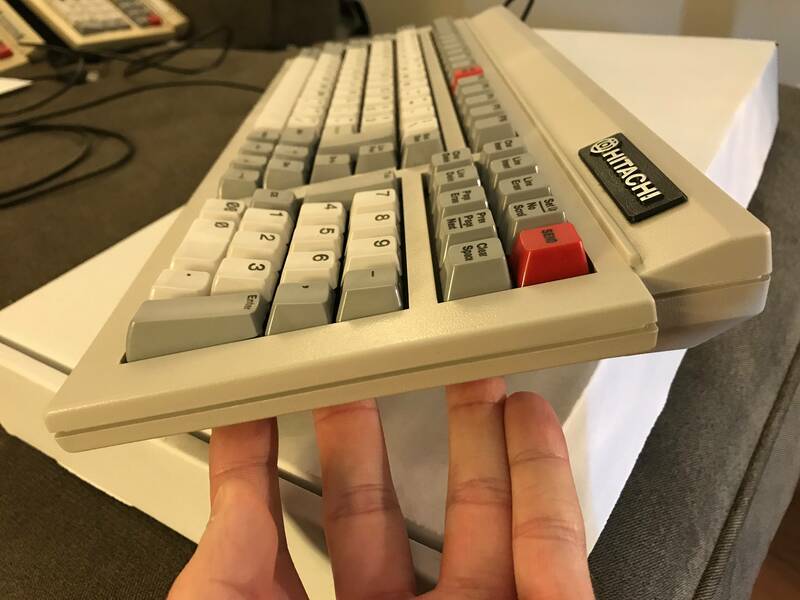 In a way it distantly reminds me of a heavier topre board in that way. And everything just looks so CLEAN and crisp, really great job. Man, some of these SI switches look downright dubious. I caught one of them performing metal. It's funny, the same board had a barbershop quartet that couldn't be more wholesome. This made my evening! Thanks, snacks!! As a part of this project, I'm trying to do as much as possible to restore each board back to its original condition. But I'm also trying to balance that with the volume of having to do everything x40. I really wish I could do more to recondition the switches but it's generally too much work for each board. The electric duster does a great job of blasting the dirt/dust out but ideally I would pop off the sliders, run them through the ultrasonic cleaner, and dust out the open bottoms. So cleaning is a bit too much work but lubing wouldn't be out of the question. Tonight I experimented with a quick fix that popped into my head. The goal obviously being to lube each individual switch without disassembling them. Hopefully this isn't doing any damage. I'll try this out on one board and see what the impact is (positive or negative). This only takes a couple minutes so it wouldn't be a big deal to work into my process at all. I didn't exactly expect a miracle but I certainly didn't expect it to make the switch 1800% worse. Wet lubing is not always the best thing do. 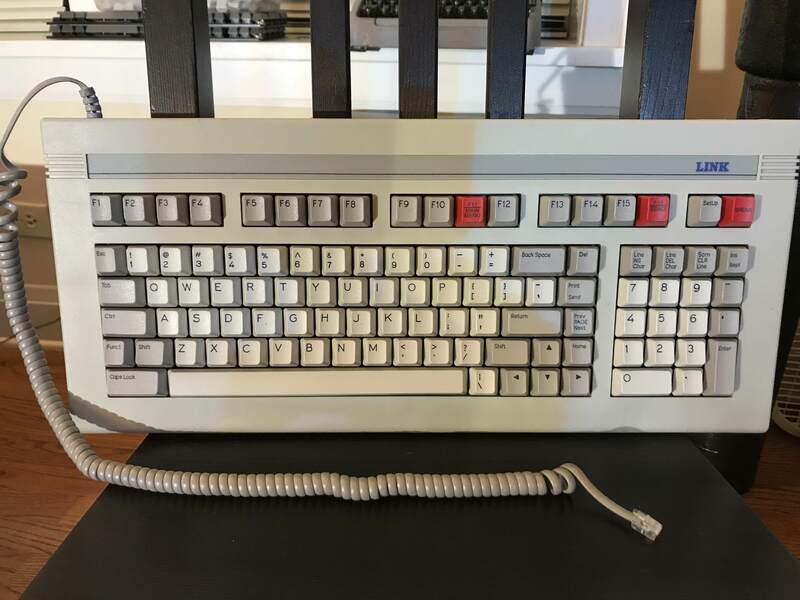 I did not get sactisfactory resuls with Alps switches for example so I switched (!) to dry lube for those. Even on Cherrys , the difference between oil and dry ptfe is not that much, so , lately , I prefer going with dry lube . About Space Invaders, since I have none yet , I can't comment on. Last edited by lucar on 10 Nov 2018, 21:23, edited 1 time in total. I think a lot of the noise you are hearing is related to the spring and space invaders definitely bind a bit when pressing from the corner rather than the center. My best results came from ultrasonic cleaning of both the slider and bottom housings, but as you said, this requires quite a bit of work. The unfortunate truth is that cleaning and or lubing is very labor intensive regardless of type of switch. snacksthecat wrote: ↑ I dun goofed. I would go with dry lube sincerely. After ultrasonic cleaning , I'd put all the switch tops in a zip bag a spray all togheter, let them dry and reassemble. I've heard of pinging switches, but singing switches? Hmm never really thought about dry lube on space invaders before always used Tribosys 3204. Hey I made a sound test! I may lube these eventually, but right now they already feel great. Thanks for posting the video! I love the thockiness of these boards. Just finished sprucing up these two for engicoder. I thought they looked particularly nice. snacksthecat wrote: ↑ Thanks for posting the video! I love the thockiness of these boards. Thank you, snacks! I am really looking forward to these two. I will be able to reunite "The Patriot" with his as yet un-named 101 key Liberty big brother. Is the other Patriot board still available? I'd be interested in it if it is! milwaukeebs wrote: ↑ Is the other Patriot board still available? I'd be interested in it if it is! Yes! Thank you for the reminder, and sorry for not getting back to you sooner on reddit. I have one more of the Patriot boards. This one does not have the little plastic insert with the Liberty logo. I'll get to work cleaning it up and replacing the controller like I've done with the other boards.